According to multiple accounts, as about 200 LDS men and women were travelling through Illinois in the summer of 1834, they climbed a small mound and dug up some bones. "I discovered that the person whose skeleton was before us was a white Lamanite, a large, thickset man, and a man of God. His name was Zelph. He was a warrior and chieftain under the great prophet Onandagus, who was known from the Hill Cumorah, or eastern sea to the Rocky Mountains. The curse was taken from Zelph, or at least, in part—one of his thigh bones was broken by a stone flung from a sling, while in battle, years before his death. He was killed in battle by the arrow found among his ribs, during the last great struggle of the Lamanites and Nephites." The message was clear, Joseph Smith had the ability to draw down from Heaven very specific details about this man, his life and character. The revelatory power was strong. The men of the group then divided up the bones and took them with them. It appears that all of the bones were lost over time. 1. If LDS Prophets has such profound power of revelation, why did Spencer W. Kimball not realize that Mark Hoffman duped the church out of many thousands of dollars? 2. Why did they choose to desecrate the grave? What lesson does that teach us? 3. If these truly were the bones of a great leader, why were they not preserved and displayed? Why were they lost? 4. Why was it so important for God to give this revelation, but didn't stop the Kirtland Bank from going under? 5. Could a man in the year 400 really have been known from the "eastern sea to the Rocky Mountains"? 6. It is a bit too coincidental that the name of Zelph's prophet was named Onandagus which is very similar to Onondaga County in New York not far from Palmyra. 7. By placing the Book of Mormon setting in Illinois it changes the dynamic of the Central America theory that I grew up with. 8. The story reinforces the racist idea that has Lamanites that become righteous the turn white. 9. It sets the standard of "Prophet" pretty high. Why doesn't President Monson help in missing person investigations? CSI would be put out of business? 10. Why do so many Nephite and Lamanite names begin with a Z? (Zelph, Zarahemla, Zenos, Zenock, and Zeezrom) They start to sound made up. Bonus: Why did Joseph only find the bones of the most famous man around? Wouldn't it have been more believable if they were some normal guy, who gathered food and fed his family? Nephi is a young man. He is told by the spirit to kill a drunk man in the street. He manages to cut off his head and put on Laban's clothes without getting blood all over them or getting spotted. Can you imagine if everybody who had a voice in their head tell them to do something they did? What a great message to start the book with! For 77 verses Jacob recounts the Parable of the Olive Tree. The issue with this story is that there were no olives in North or South America prior to Columbus. Jacob was a tiny boy when he arrived in the New World and would have never seen an olive. By the time he tells this parable he is an old man and nobody hearing the story would know anything about growing olives. Nephi talks about the Great and Abominable Church and how they took the Bible and changed it. This was written at least 500 years before Jesus. All this would have meant nothing to the people of Nephi. For many years it was taught that the Great and Abominable Church was the Catholic Church. ... but now the Catholic and LDS Churches are friends and work together on together on multiple projects....and there is very little difference between the Bibles that the 2 churches use. In one year Nephi and a few other adults mined ore, made metal, made tools, cut wood and gathered food and water. 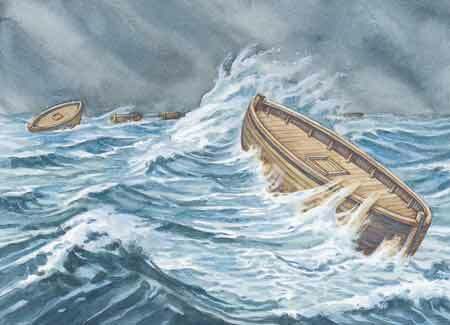 They then built a ship that would carry them, their animals and all their families across the ocean for nearly a year. Why was it different from the ship the Jaredites made? Did God know more about shipping building by then? Some of Nephi's brother didn't keep the commandments so God made them have dark skin so they would be ugly. The idea that God would curse a people and all their children for eternity for wickedness is absurd. Were the Germans cursed with a dark skin because of World War II? Are the descendants of Stalin cursed with blackness because of his atrocities? Realize that nearly the entire Book of Mormon tokes place before Christ was even born. The word Christ is used in the book about 200 times before he was born. Why does it talk so much about him? Why does the Old Testament say nothing of Christ by name? What would have happened if Christ was born and didn't fulfill his atonement? When Christ dies in Israel, God is so angry that he wreaks an unbelievable apocalypse in the Americas. Earthquakes, tornadoes, tidal waves. Most likely millions are killed including children. Why doesn't the Bible mention any of it? Why haven't we found any archaeological evidence of that sort of destruction? Mormon was a leader, prophet, father, general, warrior and was running from his enemies for most of his life. He had the time to abridge and scratch the entire Book of Mormon onto golden plates, and then Joseph Smith never really used them. After the Tower of Babel (myth) One family begged God to save them. He helped them make some crazy barges to get to America. The barges were part submarine, part ship with holes on the top and the bottom. Filled with people, food, water, bees and other animals and all their waste. They flip over in the water. Used to cross the oceans. They used magic rocks for light. The last battle of the Jaredites was fought between millions of soldiers whose only desire is destroy the other. The last men standing are the two leaders - Shiz and Coriantumr. Nobody ran away, nobody surrendered everyone died. At the very end, Shiz is beheaded and still rises up before he dies. Coriantumr then wanders around until he stumbles upon another group of 500 BC Christians. 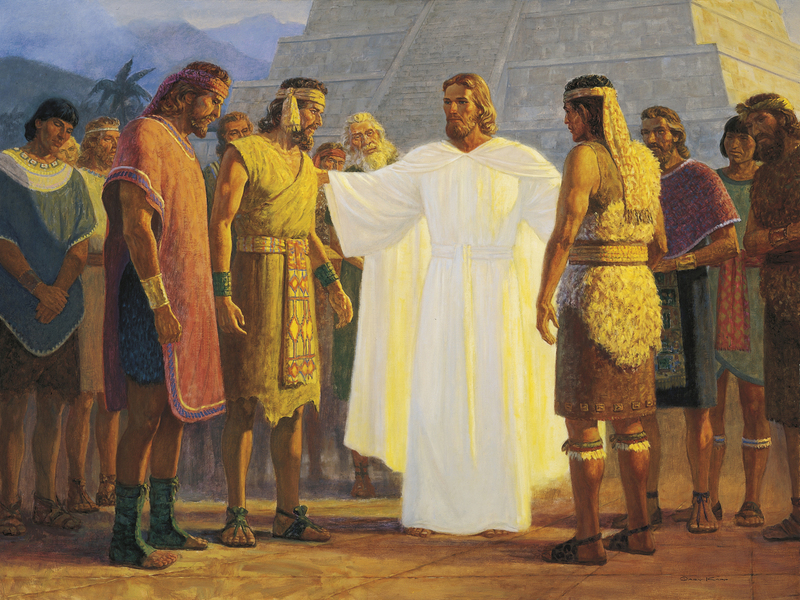 Ammon is a Nephite who agrees to be a servant for the Lamanite King. 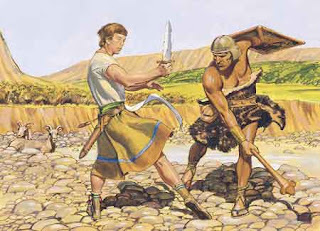 As he is tending the king's flock and bad Lamanites come and try to steal the flock and kill Ammon. God helps Ammon kill a bunch of the bad guys with stones and them amazingly Ammon cuts off the arms with one blow of several men who tried to attack him. The sharpness of Nephite swords must have been perfect. Too bad there is no evidence that there were ever swords in the Americas or sheep. 1. Very conflicting statements have been made by church leaders about evolution. 2. The LDS Church still claims that there was a universal flood. 3. 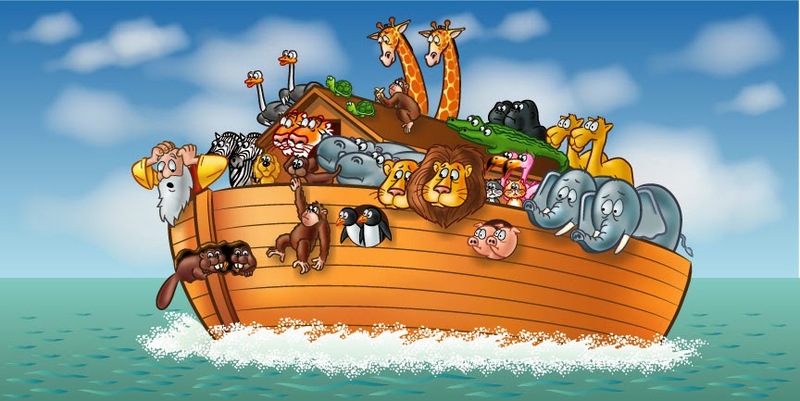 The church cannot get past the idea that Noah had some of every animal on the ark. 4. The church has never fully accepted birth control. 5. The church refuses to acknowledge that coffee isn't bad. 6. The church refuses to enforce many of the good things about the Word of Wisdom.... Grains, little meat, herbs of the field etc. 8. 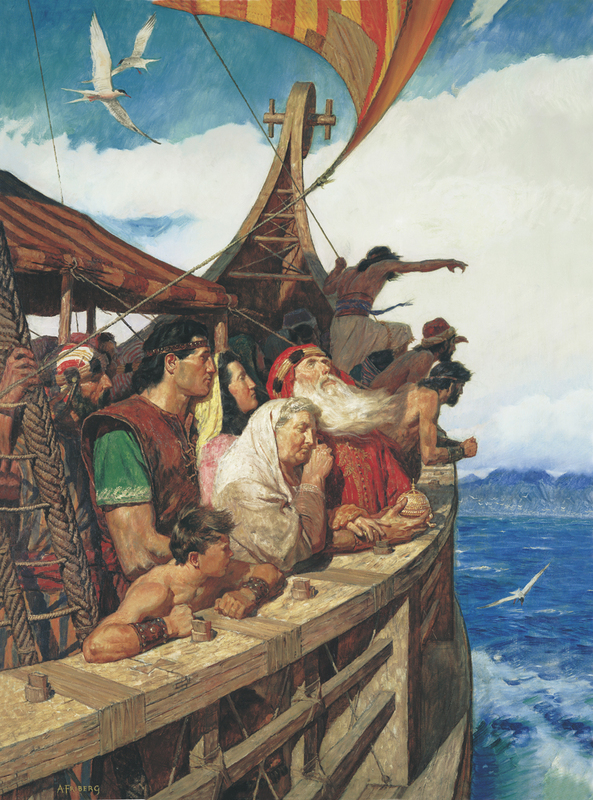 A Nephite family with few men could find food, survive, smelt iron, build tools and build a trans-oceanic boat in a year. 11. The impossible idea that the language changing at the Tower of Babel really happened. 12. The idea that the Earth is 7000 years old. 13. Abraham 3:13. This is Shinehah, which is the sun. And he said unto me: Kokob, which is star. And he said unto me: Olea, which is the moon. 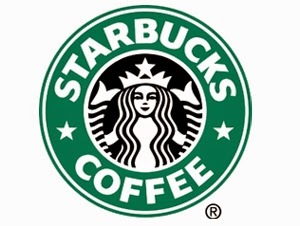 And he said unto me: Kokaubeam, which signifies stars. 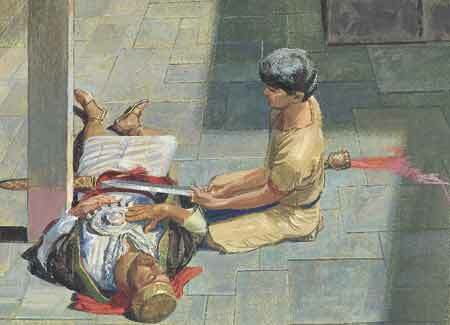 14, Nephi has a thought come into his head and decides to cut off the head of Laban with a sword. He wasn't visited by an angel. It says that "The Spirit" told him to do that. 18. 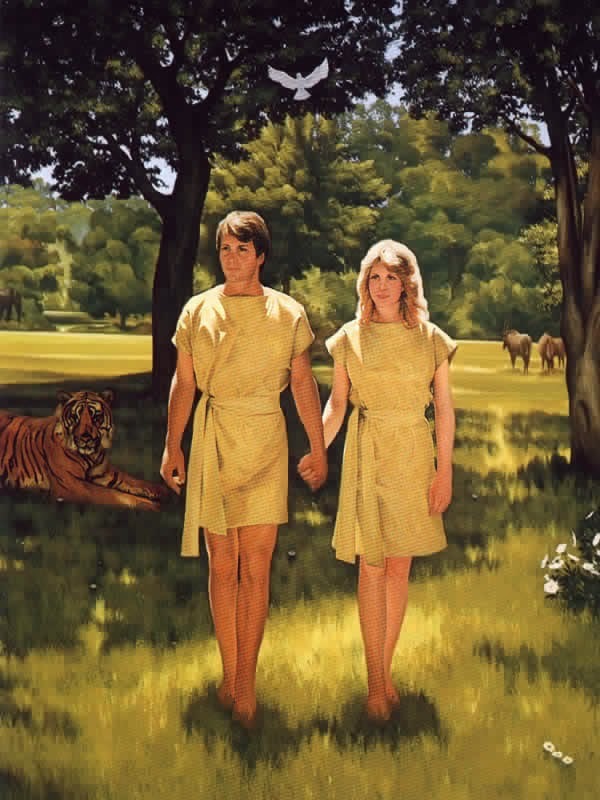 Adam and Eve are the parents of all humanity.